Detailed Egg Drop Curry Recipe | Andhra-Style Poached Egg Curry recipe with easy step by step video tutorial. Egg Drop Curry is a simple, light, comfy, and delish side dish which fits so well with steamed rice or chapati. This gluten-free can be made in a single pan in less than 30 minutes. Hello, friends! How are you doing? My today’s recipe is a humble curry. 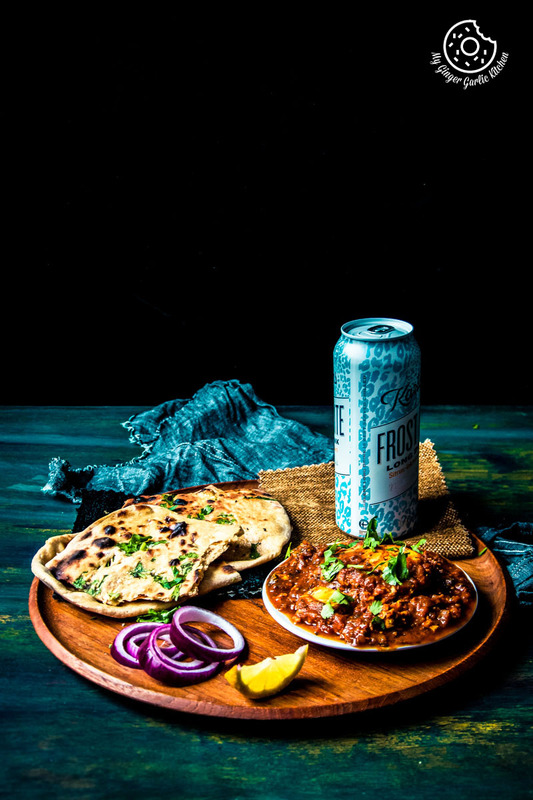 But why am I sharing a curry recipe today when it’s summer season, you may ask. I know, the time says it’s summer and the temperature says it’s not. So now I am really craving for a hot curry. So, I intended to make this egg drop curry again for dinner tonight. I made it last week and I am making it today again because any type of egg curry is my family’s comfort meal. They are up for it any time of the day, week, month. There are so many egg curry recipes such as boiled egg curry, fried egg curry, scrambled egg curry, egg cubes curry, and many more. 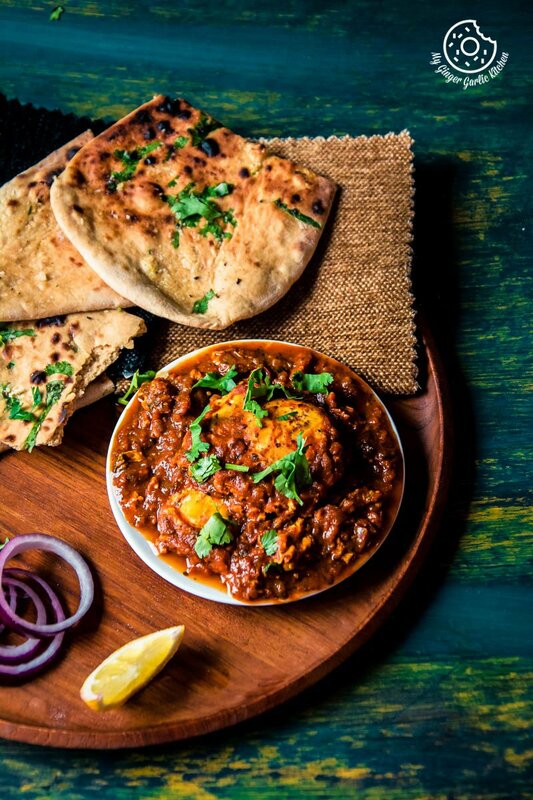 But this egg curry is quickest and simplest of them all. What is Egg Drop Curry? 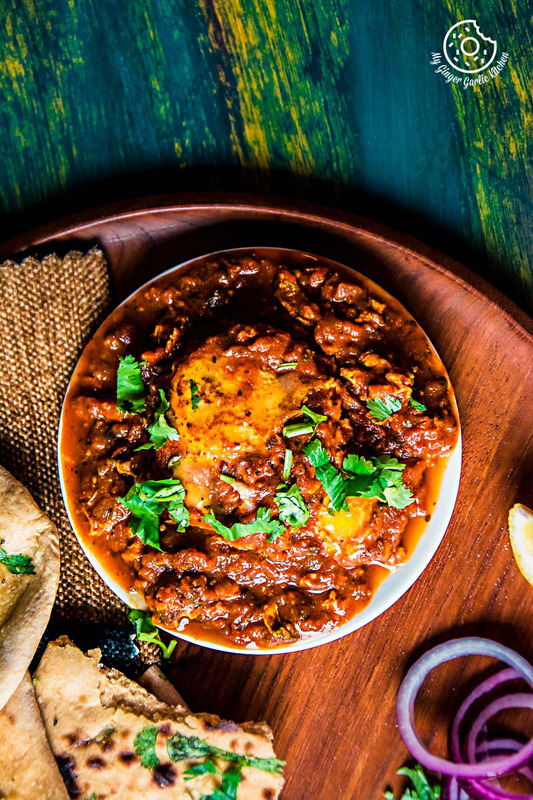 Egg Drop Curry OR Andhra-Style Poached Egg Curry is one of the very basic yet exotic egg recipes from Andh. I first ate this curry at one of my friend’s house, who is a native from the Indian state of Andhra Pradesh. She told me that in Andhra they usually make this curry 2 ways. One is tomato based gravy, and another one is coconut based gravy. I ate both of these versions at her home and no matter what gravy she used, the curry always came out fabulous — just finger-licking good. She also told me that ‘Egg Drop Curry’ is amongst the most common curries prepared in most of the Andhra families for lunch or dinner. If you are looking for Poached Egg Curry Without Coconut, or Broken Egg Curry Andhra Style then this recipe is for you. It doesn’t require boiled eggs, so you don’t need to worry about boiling the eggs first and then wait for them to cool down a bit before peeling the shells. For this curry, the raw eggs are directly dropped into the gravy instead of adding boiled eggs. Thus, this reduces the cooking time. 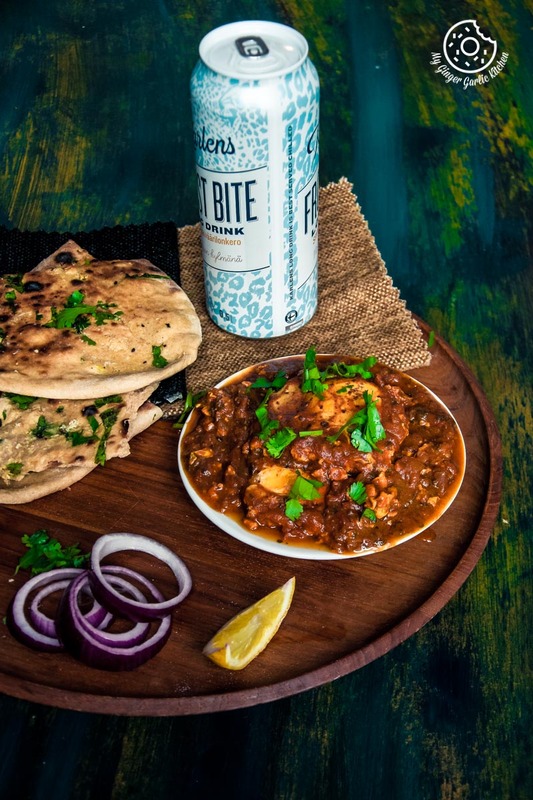 So a tasty curry can be served under 30 minutes. No fancy ingredients and preparations are needed to make this hot, flavorful and spicy curry. Thus it can be made in a jiffy. The eggs are cooked in spicy gravy, so they absorb all the spices and curry tastes much more flavorful than regular boiled egg curry. 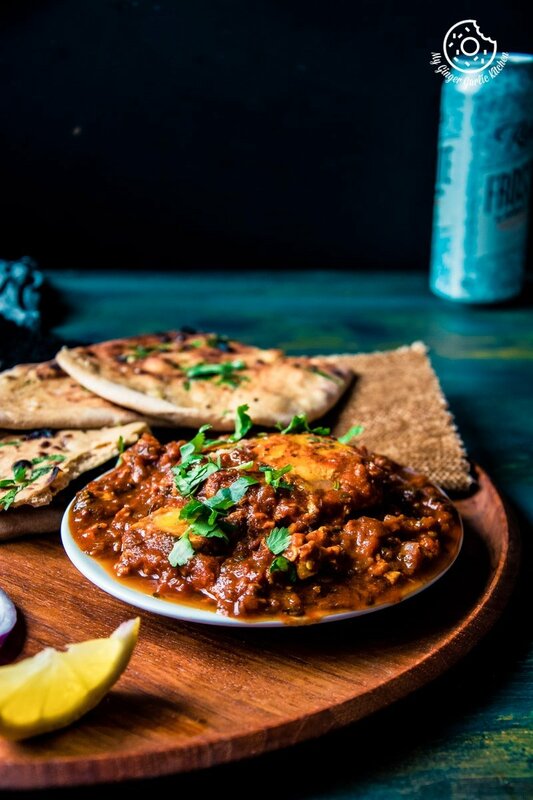 This curry is the best to cook at times when you have unexpected guests and you don’t have much time to prepare food, but you still want to impress them with something really exotic and delish. Then this curry comes to the rescue, and that’s why I’d also like to call it ‘a curry in a scurry’. This simple, light, comfy, creamy and flavorful side dish goes so well with naan, paratha, steamed rice or even chapati. This gluten-free curry can be made in a single pan in less than 30 minutes. Let’s learn Egg Drop Curry Recipe | Andhra-Style Poached Egg Curry Recipe. 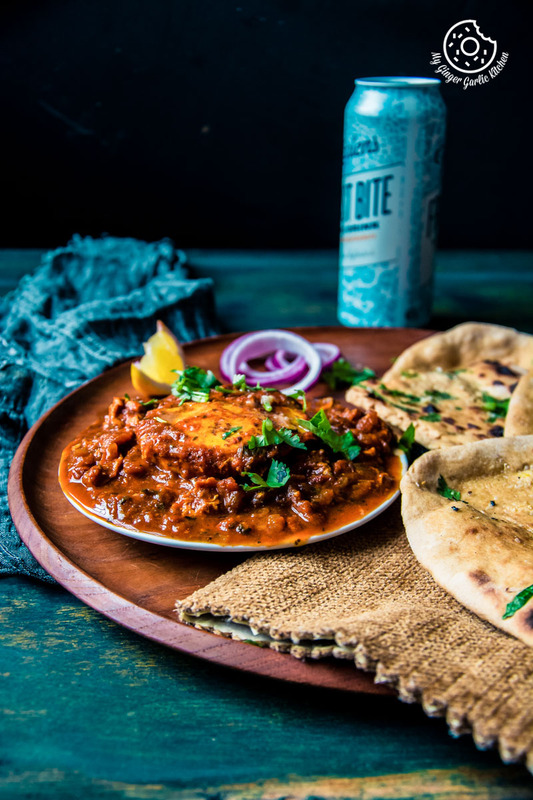 Egg Drop Curry | Andhra-Style Poached Egg Curry is a simple, light, comfy, and delish side dish which fits so well with steamed rice or chapati. This gluten-free can be made in a single pan in less than 30 minutes. 1. Heat 2 tbsp oil in a heavy-bottomed pan on a medium heat. When the oil is hot add cumin seeds. 2. Once the cumin seeds start to splutter add chopped onions and sauté for 3-4 minutes or until onions are translucent. 4. Now add chopped tomatoes and sauté for 4 minutes or until the tomatoes are cooked and mushy. 5. Once the tomatoes become soft add the tomato puree and stir well. Cook for 2 minutes. 6. Now add green chilies and stir well. Cook for another minute. 7. Add the red chili powder, turmeric powder, salt, garam masala powder, 1/8 cup of water and stir well. Cook for 3 minutes. 8. Crush Kasuri methi between your palms and add it to the tomato masala. 9. Mix well and let it cook for about 2 minutes. 10. Now reduce the heat to medium-low, and slowly break the eggs into the pan, one by one. 11. Cover and cook eggs for 5 minutes. 13. Cover and cook for 5 more minutes. 14. Turn off the heat and let it rest a few minutes before serving.